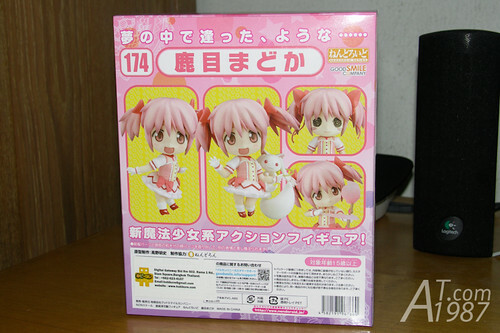 The box style is the same as other Nendoroid figures but I think the pink – yellow color scheme isn’t good. 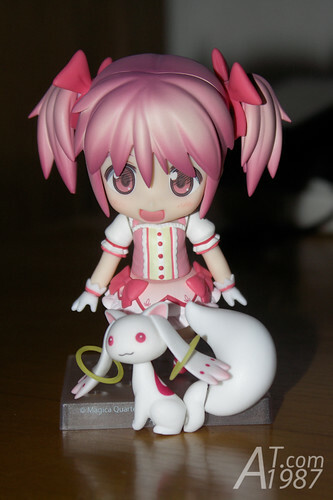 Pink – white should be better. 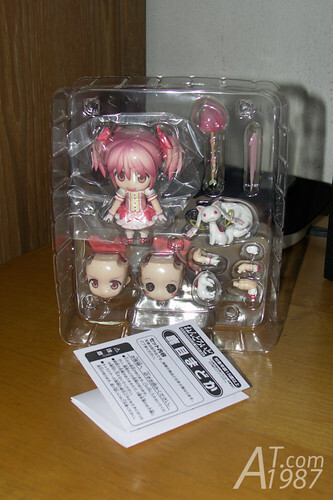 Inside the box you got 2 plastic cases: the big one and the small one which is behind the big one. 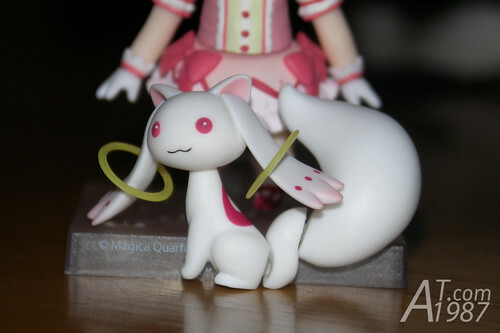 It contains 2 long tail ribbons. There are 15 parts in this box. 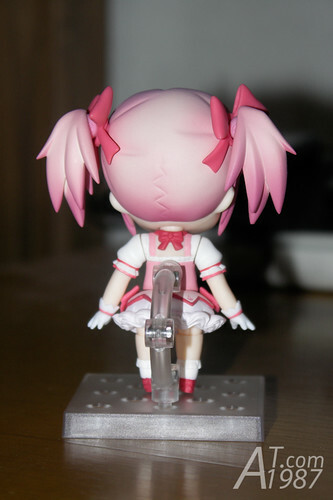 The sculpting and color is good as always but the one I got has a very small unpainted area on the skirt. 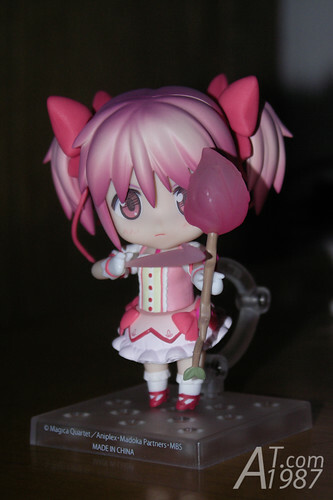 To attach the figure to the base, you have the stick the plastic arm to the hole on her back. 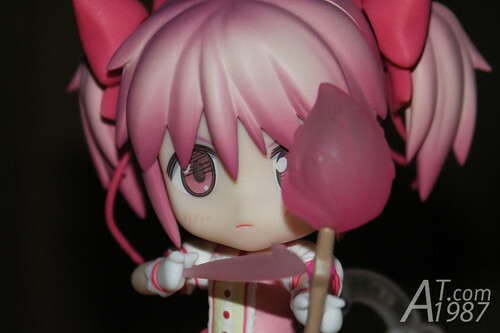 I prefer the under skirt type of plastic arm but I think it may be Madoka wears pumpkin pants so it can’t be used. 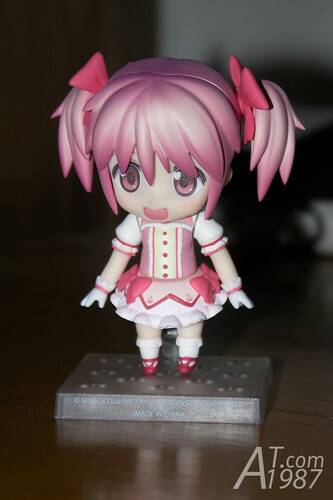 Also I like this new Nendoroid base. It has many hole the attach the arm like di:stage. I really hate the old base that is the circle base. QB is included too. You can adjust his tail but it’s too heavy. The new design of ribbon. Put a hair joint in the hole on it then you stick the whole part in a hole on the head. 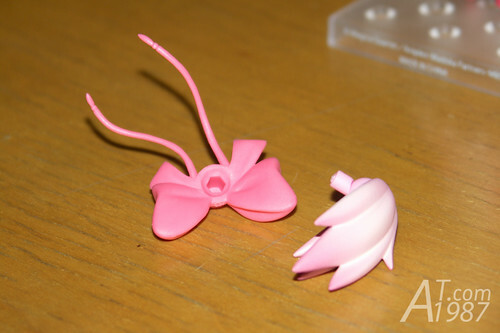 The old design the ribbon is attach by the joint from hair part which is easily to loose and fall from a head. To put the bow and arrow, change the hand part to the one that has the hole in it. For the arrow, you can use the whole angle arm, the hand on it already has the hole to support the arrow. The arm part is separated to the 3 parts: shoulder, arm and hand which you can change it to other part for hold bow and arrow (Above picture) or hold QB. 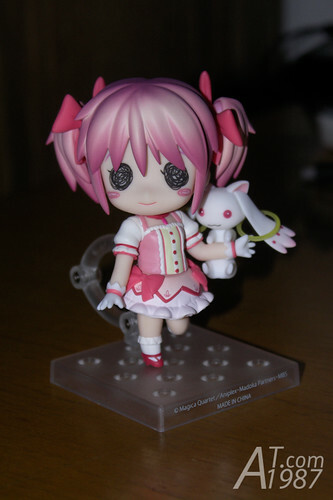 There aren’t many complaint to this figure since it’s very good by itself but I thought the PVC molding is quite bad because there are some black spots in some parts. I wonder how it’s happen. 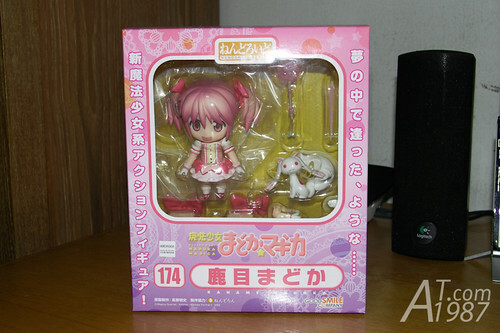 For those who want her, Play-Asia has her stocked now.